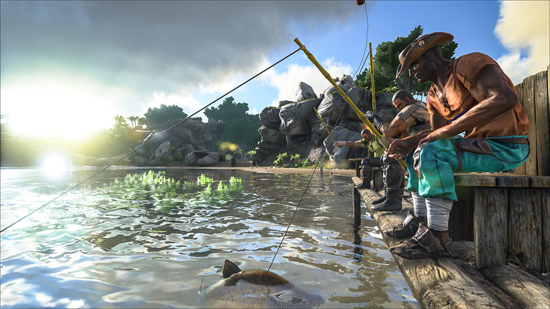 Free DLC Primitive+ Official Mod Launches; v245 Updates Including Two Dinosaurs, Fishing Rod and Mechanic, and The Center Expansion Delivers New Islands, Biomes, Caves and Creature Spawns. 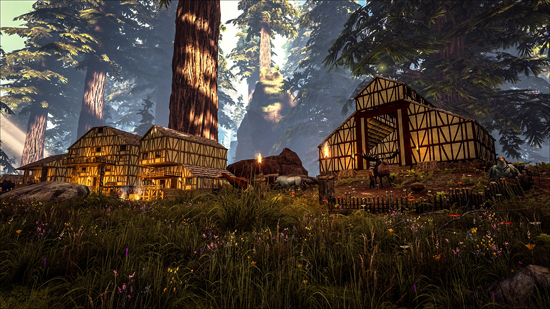 After releasing a content-rich package (v245) offering ARK: Survival Evolved players a mega update to fantasy map The Center while fully launching Primitive+, the second player-created mod to be made an official part of the ARK game. 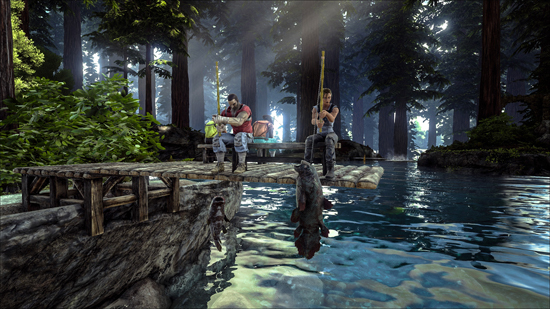 Studio Wildcard also has brought to life two new creatures, Pelagornis and Allosaurus, and has materialized a new fishing rod and fishing mechanic, along with a flurry of additional gameplay features. All content is available starting today as a free download on Steam PC. Haven’t yet experienced the definitive online dinosaur survival game? 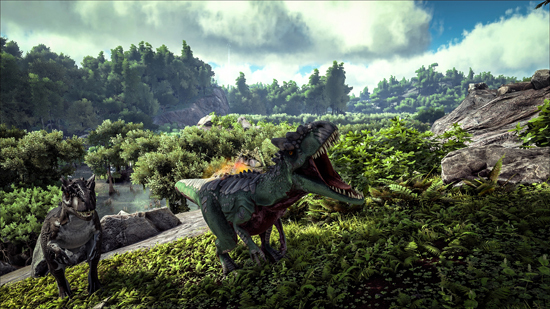 From Thursday, July 28, through Sunday, July 31, 2016, ARK: Survival Evolved is hosting a Free Weekend on Steam where all players can start to tame, train, breed and ride Dinosaurs in this open-world action-adventure survival game. ARK: Survival Evolved also is on sale for Steam players at 50% off (retail $29.99) from Thursday, July 28, through Wednesday, August 3, 2016. Newly available as part of the ‘ARK Official Mods Program’ today, Primitive+ is a functionality mod playable on all official ARK maps that challenges players to use only weapons and tools using wood and stone, without the benefit of advanced metals to create weapons such as guns. It's a whole new set of items and detailed mechanics focused on 'primitive' survival, which fits snugly in the world of ARK. The Center, a massive free DLC map that was first released in May 2016, expanded today to include new biomes, islands, caves, and creature spawns. 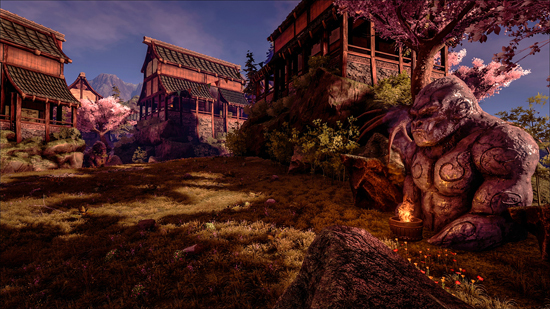 The Center was created by modder Ben Burkart as part of the ‘ARK Official Mods Program’ and complements the current biomes with a rich, hand-drawn Tolkien-esque aesthetic. The Center’s massive map doubles the in-game playable geography of the already enormous ARK landscape making it 70 sq. kilometers filled with stunning lighting effects, lava rivers, giant picturesque mountains, misty floating islands, ancient underground ice caves, and more. Pelagornis (Species Pelagornis miocaenus): This creature is instantly recognizable from the more common Icthyornis by its size. 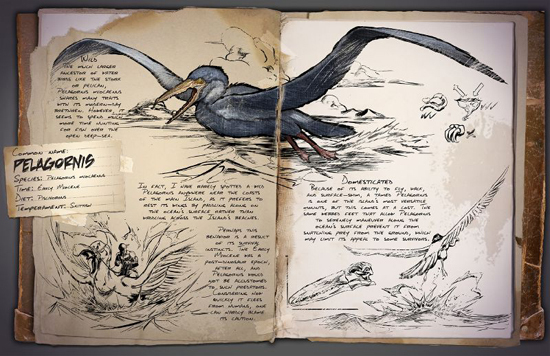 With a wingspan rivaling Argentavis, it also possesses a beak filled with tooth-like projections for snagging fish and webbed feet for paddling upon the ocean surface. 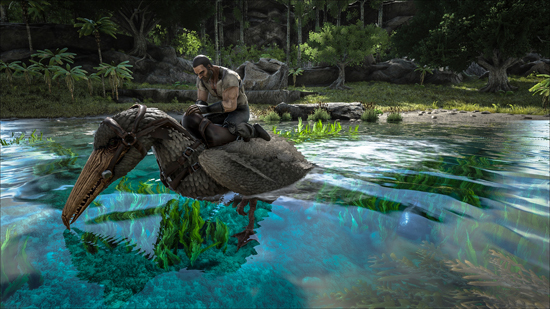 Because of its ability to fly, walk, and surface-swim, a tamed Pelagornis is one of the island's most versatile mounts, though this comes at a cost. The same webbed feet that allow Pelagornis to serenely maneuver along the ocean's surface prevent it from snatching prey from the ground, which may limit its appeal to some survivors.